We pick up, store and bring back your stuff, so you'll never have to visit a storage unit again. Formerly Known as "Deacon Storage"
Collegiate Storage is managed by Wake Forest University Students, and we strive to exclusively employ WFU students when assembling our sales and moving staff because we believe those intimately familiar with the fabric of the WFU community best possess the ability to provide excellent service to the community's constituents -- students, parents, faculty and administration alike. Click Here to Work for Us! 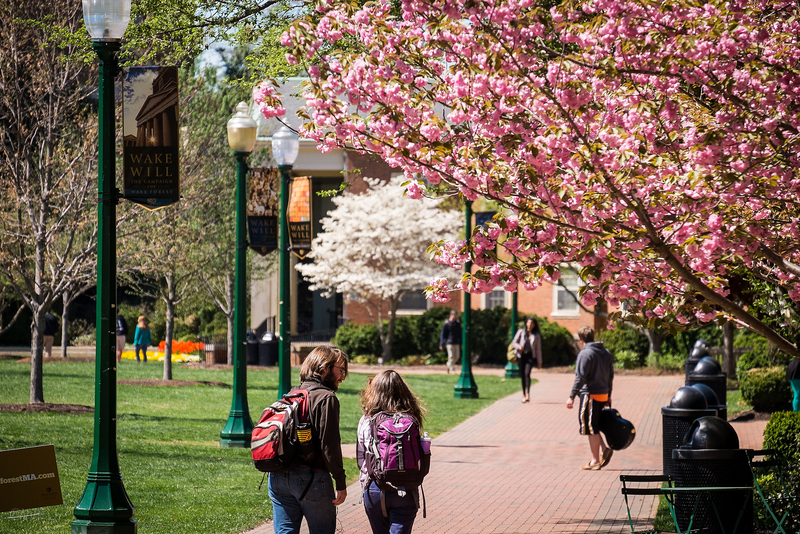 When you choose Collegiate Storage you are not only ensuring the best possible storage solution for your belongings this summer, but you are also helping fulfill the dreams and ambitions of WFU students. Click Here to Learn More about Our Mission. Collegiate Storage is managed by high performing students on campus and backed up by the experience and resources of its parent company University Storage. On-Campus Managers leverage their knowledge of the university along with the customer service and logistical resources provided by Collegiate Storage to offer you a reliable, consistent service that is dedicated and tailored to the Wake Forest Community. Learn More About University Storage Here! Your valuables need to be protected during moving. That's why Collegiate Storage provides the largest range of box sizes and packing supplies of any competitor on the market. All delivered right to your door. DISCLAIMER: WFU and Wake and Wake Forest University are registered trademarks of Wake Forest University, a nonprofit corporation. Use of the trademarks does not imply any affiliation with or endorsement by Wake Forest University.